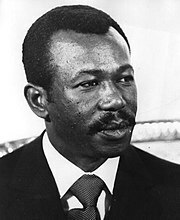 According to Oxfam UK (and also Human Rights Watch), Mengistu Haile Mariam helped to organize policies that multiplied the effects of the famine. He was sentenced to death in Ethiopia for crimes committed during his government (Derg), but he currently lives in exile in Zimbabwe. According to Human Rights Watch, more than half its mortality could be attributed to "human rights abuses causing the famine to come earlier, strike harder and extend further than would otherwise have been the case". Other areas of Ethiopia experienced famine for similar reasons, resulting in tens of thousands of additional deaths. The famine as a whole took place a decade into the Ethiopian Civil War. The famine of 1983–85 is most often ascribed to drought and climatic phenomena. However, Human Rights Watch has alleged that widespread drought occurred only some months after the famine was under way. According to the organisation, and Oxfam UK, the famines that struck Ethiopia between 1961 and 1985, and in particular the one of 1983–85, were in large part created by government policies, specifically a set of so-called counter-insurgency strategies (against Tigray People's Liberation Front guerrilla-soldiers), and for "social transformation" in non-insurgent areas (against people of Tigray province, Welo province and such). The decline of Tigrayan ethnic population in Ethiopia during Haile Selassie's rule (in particular in districts of the former Tigray province, which are given to the present-day Amhara Region, like Addi Arkay (woreda), Kobo (woreda) & Sanja (woreda)), is likely to have been Haile Selassie's immense oppression & systematic prosecution against non-Amhara ethnic people of Ethiopia (in particular, his immense systematic prosecution of Tigrayans). For example, on the 1958 famine of Tigray, Haile Selassie refused to send any significant basic emergency food aid to Tigray province even though he had the money; so in consequence, over 100,000 people died of the famine (in Tigray province). Later on, the Mengistu Haile Mariam-led military dictatorship (Derg) also used this 1983–1985 famine in Ethiopia as government policy (by restricting food supplies) for counter-insurgency strategy (against Tigray People's Liberation Front guerrilla-soldiers), and for "social transformation" in non-insurgent areas (against people of Tigray province, Welo province and such). Due to organized government policies that deliberately multiplied the effects of the famine, around 1.2 million people died in Ethiopia from this famine where majority of the death tolls were from Tigray province (and other parts of northern Ethiopia). Before the 1983–85 famine, two decades of wars of national liberation and other anti-government conflict had raged throughout Tigray region (of Ethiopia) and Eritrea. The most prominent feature of the fighting was the use of indiscriminate violence against civilians by the Ethiopian army and air force. Excluding those killed by famine and resettlement, more than 150,000 people were killed. Four Ethiopian provinces—Gojjam, Hararghe, Tigray and Wollo—all received record low rainfalls in the mid-1980s. In the south, a separate and simultaneous cause was the government's response to Oromo Liberation Front (OLF) insurgency. In 1984, President Mengistu Haile Mariam announced that 46% of the Ethiopian Gross National Product would be allocated to military spending, creating the largest standing army in sub-Saharan Africa; the allocation for health in the government budget fell from 6% in 1973–4 to 3% by 1990–1. Nevertheless, the magnitude of the disaster has been well documented: in addition to hundreds of thousands of deaths, millions were made destitute. Media activity in the West, along with the size of the crisis, led to the "Do They Know It's Christmas?" charity single and the July 1985 concert Live Aid, which elevated the international profile of the famine and helped secure international aid. In the early to mid-1980s there were famines in two distinct regions of the country, resulting in several studies of one famine that try to extrapolate to the other or less cautious writers referring to a single widespread famine. The famine in the southeast of the country was brought about by the Derg's counterinsurgency efforts against the OLF. However, most media referring to "the Ethiopian famine" of the 1980s refers to the severe famine in 1983-85 centered on Tigray and northern Wollo, which further affected Eritrea, Begemder and northern Shewa. 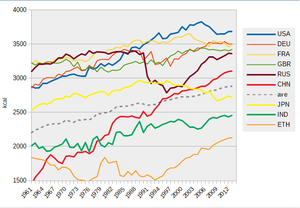 Living standards had been declining in these government-held regions since 1977, a "direct consequence" of Derg agricultural policies. A further major contributing factor to the famine were the Ethiopian government's enforced resettlement programs, utilized as part of its counter-insurgency campaign. A major drain on Ethiopia's economy was the ongoing civil war, which pitched rebel movements against the Soviet and Cuban backed Derg government. This crippled the country's economy further and contributed to the government's lack of ability to handle the crisis to come. The Ethiopian government's unwillingness to deal with the 1984–85 famine provoked universal condemnation by the international community. Even many supporters of the Ethiopian regime opposed its policy of withholding food shipments to rebel areas. The combined effects of famine and internal war had by then put the nation's economy into a state of collapse. Close to 8 million people became famine victims during the drought of 1984, and over 1 million died. In the same year (23 October), a BBC news crew was the first to document the famine, with Michael Buerk describing "a biblical famine in the 20th century" and "the closest thing to hell on Earth". The report shocked Britain, motivating its citizens to inundate relief agencies, such as Save the Children, with donations, and also to bring world attention to the crisis in Ethiopia. In January 1985, the British Royal Air Force carried out the first airdrops from Hercules C-130s delivering food to the starving people. Other countries including Sweden, East and West Germany, Poland, Canada, United States and the Soviet Union were also involved in the international response. 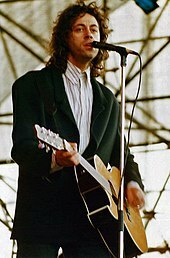 Bob Geldof co-found "Band Aid (band)" and he sang as part of the chorus. Buerk's news piece on the BBC was seen by Irish singer Bob Geldof, who quickly organised the charity supergroup Band Aid, primarily made up of the biggest British and Irish artists of the era. Their single, "Do They Know It's Christmas? ", was released on 3 December 1984 and became Britain's best-selling single within a few weeks, eventually selling 3.69 million copies domestically. It raised £8 million for famine relief within twelve months of its release. Other charity singles soon followed; "We Are the World" by USA for Africa was the most successful of these, selling 20 million copies worldwide. In America, the supergroup USA for Africa released the single "We Are the World", written by Michael Jackson and Lionel Ritchie, selling 20 million copies and raising 63 million dollars. 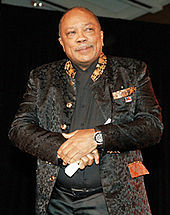 In France, French supergroup Chanteurs sans frontières released "SOS Éthiopie", which sold 1 million copies and raised 10 million francs (about 1.2 million dollars). Other charity initiatives raised money for Ethiopia. On 27 January 1985, members of The Church of Jesus Christ of Latter-Day Saints participated in a special fast, where members went without food for two meals and donated the money they would have used to buy food. The fast raised $6 million for the famine victims in Ethiopia. Outsider estimates like AvAlexander De Waal's, believe the famine of 1983-1985 killed a minimum of 400,000 people (not counting those killed by resettlement), just in northern Ethiopia (Tigray province); "Something over half of this mortality can be attributed to human rights abuses causing the famine to come earlier, strike harder, and extend further than would otherwise have been the case.". Other insider estimates put the total death toll in Ethiopia at "1.2 million dead, 400,000 refugees outside the country, 2.5 million people internally displaced, and almost 200,000 orphans". The majority of the dead were from Tigray (and other parts of northern Ethiopia). ^ a b c d de Waal 1991, p. 2. ^ a b c "Peter Gill, page.44 "Famine and Foreigners: Ethiopia Since Live Aid"" (PDF). ^ a b c "Dawit Wolde Giorgis, "Red Tears: War, Famine, and Revolution in Ethiopia"". ^ a b c d e de Waal 1991, p. 5. ^ de Waal 1991, p. 1. ^ de Waal 1991, p. 4. ^ a b de Waal 1991, p. 4–6. ^ a b Young 2006, p. 132. ^ "Peter Gill, p.43 "Famine and Foreigners: Ethiopia Since Live Aid"" (PDF). ^ a b de Waal 1991, p. 3. ^ "Feeding on Ethiopia's famine". The Independent. London. 8 December 1998. ^ de Waal 2002, pp. 106–9. ^ Ofcansky & Berry 1993, p. 43. ^ de Waal 2002, pp. 110–1. ^ de Waal 2002, pp. 111–2. ^ Webb & von Braun 1994, p. 25. ^ Webb & von Braun 1994, p. 35. ^ de Waal 1991, p. iv. ^ Webb & von Braun 1994, p. 29. ^ Clay & Holcomb 1986, p. 189–90. ^ de Waal 2002, p. 115. ^ de Waal 2002, p. 113–4. ^ Harvey, Oliver (24 October 2009). "Band Aid saved me but 25 years later my country is still hungry". The Sun. London. Retrieved 17 June 2010. ^ "1984: Extent of Ethiopia famine revealed (Video)". BBC News. 22 October 2009. Retrieved 18 June 2010. ^ Horisont 1984 (in Swedish). Bertmarks. 1984. ^ Presenter: Midge Ure (21 October 2004). Band Aid: The Song That Rocked the World (TV Documentary). ^ "Viewpoint: 1985 Fast Marked Beginning of LDS Charities - Church News and Events". ^ "LDS Church News - Country information: Ethiopia". ^ Gill, Peter (2010). Famine and Foreigners: Ethiopia Since Live Aid. Oxford, UK: Oxford University Press. p. 99. ISBN 978-0-19-956984-7. ^ a b c "ECU Ruling: Claims that aid intended for famine relief in Ethiopia had been diverted to buy arms". BBC. Retrieved 15 April 2012. ^ "BBC Apologizes Over Erroneous Live Aid Weapons Story". AOL.com. Archived from the original on 7 December 2010. ^ "BBC apologises over Band Aid money reports". BBC News. 4 November 2010. Johns, Michael (1988). "Gorbachev's Holocaust: Soviet Complicity in Ethiopia's Famine". Policy Review.